Checklist to get your home in tip-top shape in just 30 minutes. A reader sent me this link to a great article on cleaning, Alyson Voss a Freelance Writer – Lifestyle. I hope you enjoy these tips on how to keep your house clean. Gather your weapons: Use a cleaning caddy to bring your main supplies from room to room as you clean. Stock it with Lysol Disinfectant Spray, disinfecting wipes, cleaning cloths, and any other necessities. If your home has multiple levels, create one full caddy for each. Wipe away germs: Instead of breaking out the spray and scrubber for every surface, use Lysol disinfecting wipes to quickly clean frequently touched or trafficked surfaces that are already relatively clean. You’ll save time, and you can give these areas a proper weekly cleaning with Lysol Disinfectant Spray to maintain pristine conditions. Finish with a refreshing scent: As a final touch for each room, use an air freshener. Your home will look and smell amazing. The more often you follow your speed-cleaning checklist, the easier and faster it will be. You’ll save hours of time, and the dirt, germs, and odours won’t have a fighting chance. 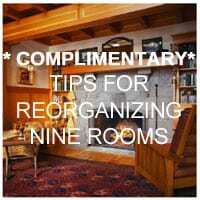 Need help getting your home organized so it is easier to clean. Contact Mind over Clutter to help simplify things to make cleaning easier. These are great tips definitely going to try this, great post!! Let me know how it goes and which tips worked best for you. Thanks for reading my blog.